Whether you need an effective (and attractive) web site, an integrated print marketing package, an annual report, a publication series, or something in between, MillerCox Design is a great choice for graphic design strategy and services. Our broad and deep experience means we know how to stay on schedule and on budget while delivering top-tier design work. 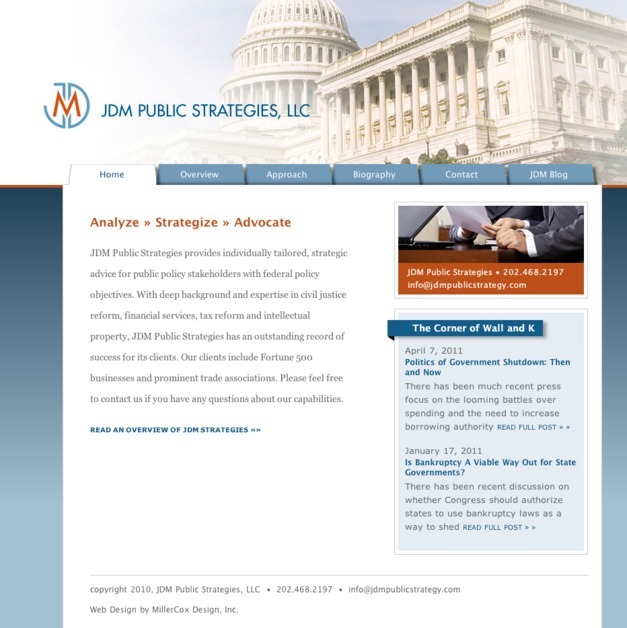 We work primarily with government agencies, non-profits, universities, and associations in and around Washington, DC. We believe in close client collaboration and a transparent design process to ensure a successful and enjoyable outcome for our clients. Count on us for reliability, creativity and outstanding results. MillerCox Design is a full-service graphic design studio that partners with the public and private sector to provide print and web design services. Above: Public Policy website, logo design, interface design and WordPress installation with custom templating.